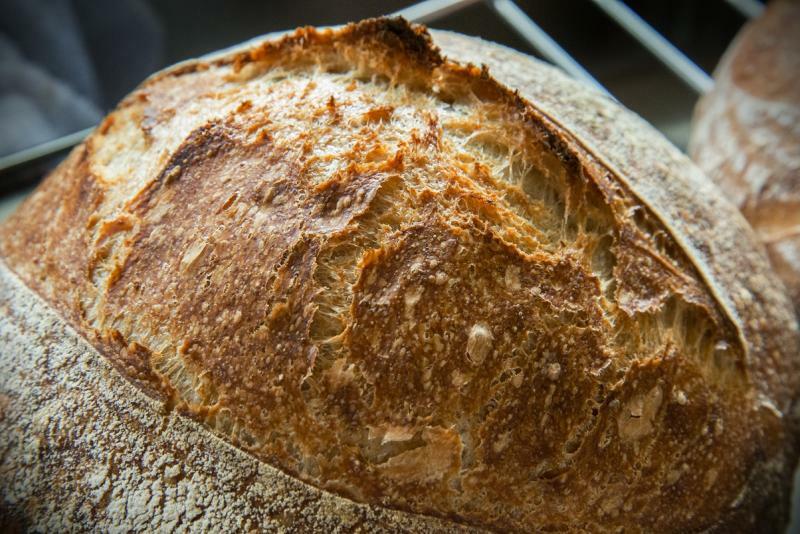 Bread looks amazing (fantastic photography, too). Well done! 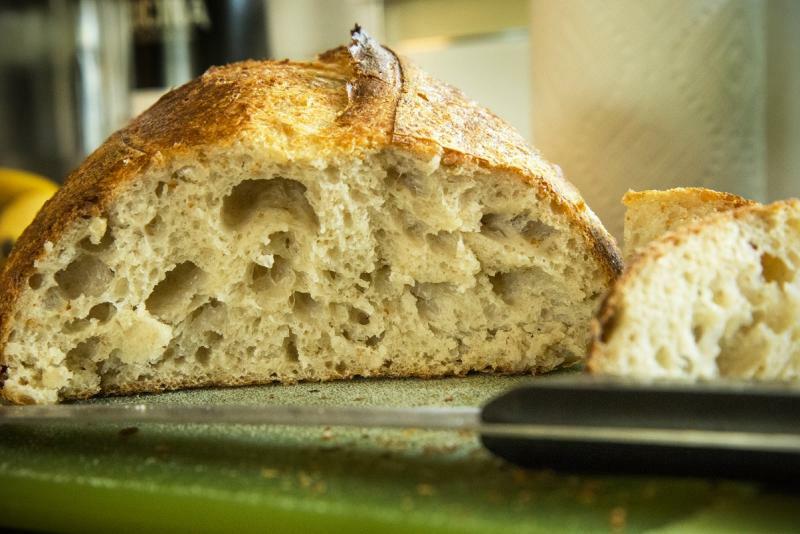 Love the crumb of the Tartine loaf. Was it as "custardy" as it looks? Thank you Mary. Yes, the crumb was something I haven't experienced before in bread. Close, but not quite like this. Tender, moist, and extremely addicting. It sure helped trying it while very warm from the oven too. Thanks for your comments and happy baking. Now that is the way Chad would like them to look! Happy baking - Arizona isn't far away time wise now! Absolutely dabrowny! Only a few months away. I already don't have time for working...I need an extra 8 hours in a day to get my work done! You know how it is. Thanks for the feedback. 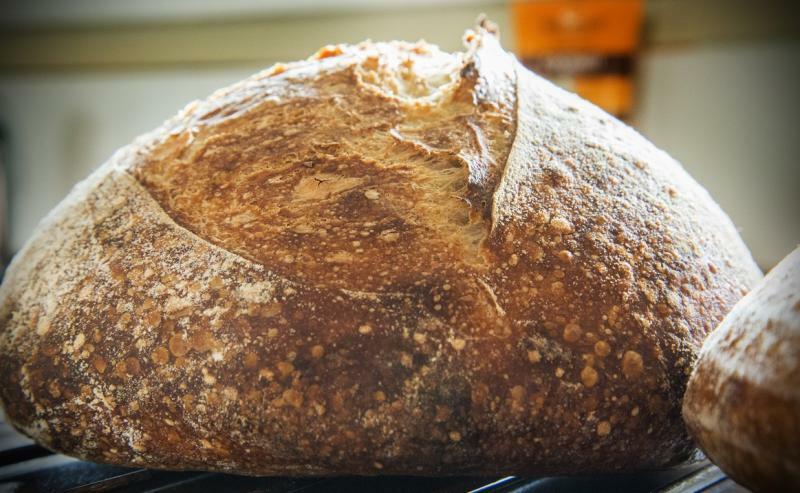 Your recent sourdough is a treat to see from you. Great job man, both photography and loaves, I bet they were tasty as hell as well. Thank you. I can say the larger of the 3, Tartine Loaf, was great. A bit of a dangerous thing to have around the home with some butter. Smashing good looking bread John! 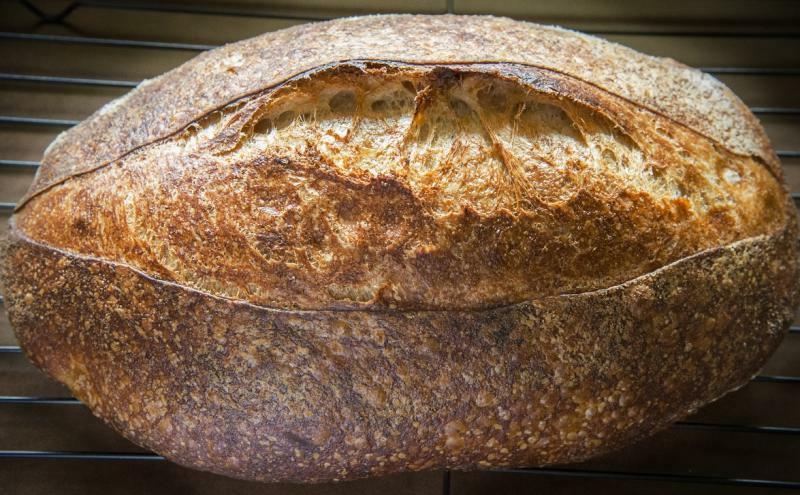 Great expansion, blistering, and crumb. High marks mate. Thanks Wingnut. Yes, I have to give my turkey roaster some credit for giving all those qualities to the bakes. I like the B&W photos. Did you use a shutter delay timer on those? Thank you David. The black and whites were actually the only 2 photos in my post that weren't from my camera! They were taken by my wife with her iPhone 5S. It actually takes very nice blur motion shots with no need for longer shutter/exposure. Thank you Darwin. Yes, the smaller loaves were shaped with more symmetry I think. Beautiful bake John. I know it's hard to resist a loaf like these. Nice photos too...so what's your new toy? Thanks Ian. This is really the only 'white' bread we ever have around the house. 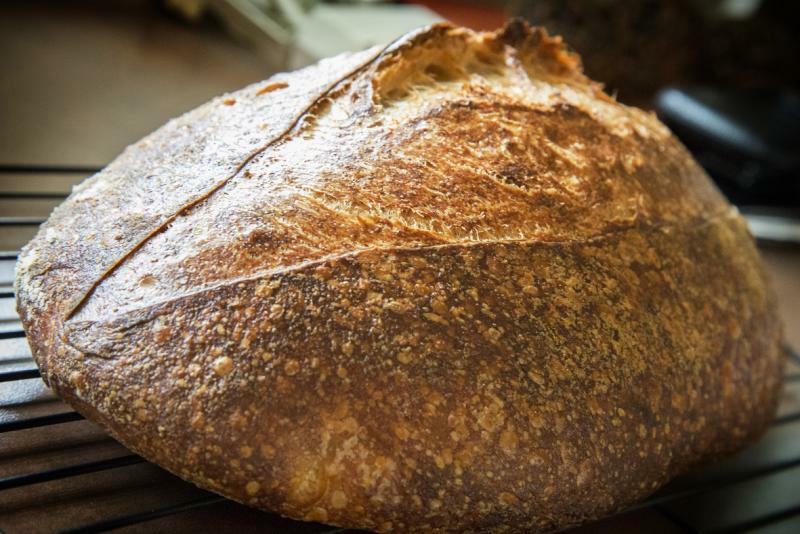 Typically it's a whole grain, rye or Hamelman 5 Grain Levain type bread around here. Spoiled myself with a Nikon D610. Now I just need a wide angle (about the same cost of the body!) for landscape photos. They look delicious, John! thanks for sharing it with us. Thanks Julie. I feel horrible saying that I could finish one loaf to myself in one day easily. Not that I have! But still...tempting. How did you change your steaming method? Hello, Song of the Baker. Unbeknownst to you, I have followed your advice and have been using a big old 1940s covered roaster to bake 3 batards a week! Once the loaves are ready to bake, I put them in the bottom of the pan, on a rack, spritz the loaves with water, and then pour in the bottom a cup of boiling water, cover the pan, and proceed to bake at 500. The loaves weigh about 900+g each, so I've had to experiment some to get the timing right. 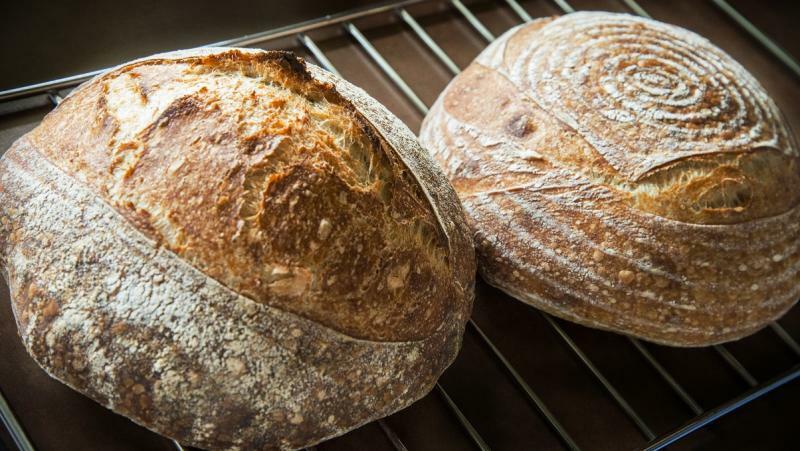 Am always eager to learn, and your breads to me are incredibly beautiful, so I hope that you will share the changes to your steaming method. Thank you in advance for your experience and guidance. Oh my god...I spent 30 minutes writing you a reply, but it got erased when I posted it. I will send you a message instead when I get a chance to re write. I would like to see some photos of your bakes. Glad to hear the method I use is working out for you. 1. I removed the tin can of boiling water method. Instead, I pour the water directly to the bottom of the roaster. I realized my roaster has shallow grooves on the bottom (originally intended to pool the fat and drippings from meat) that pools the boiling water, keeping it away from the parchment paper and dough. The tin can worked fine, just was a bit too clunky. 2. I removed the quarry tiles from inside the roaster and instead place the roaster on top of the preheated tiles. This allows me to bake loaves the entire size of the roaster as opposed to just the size of the tile area, 12 inches by 6 inches. 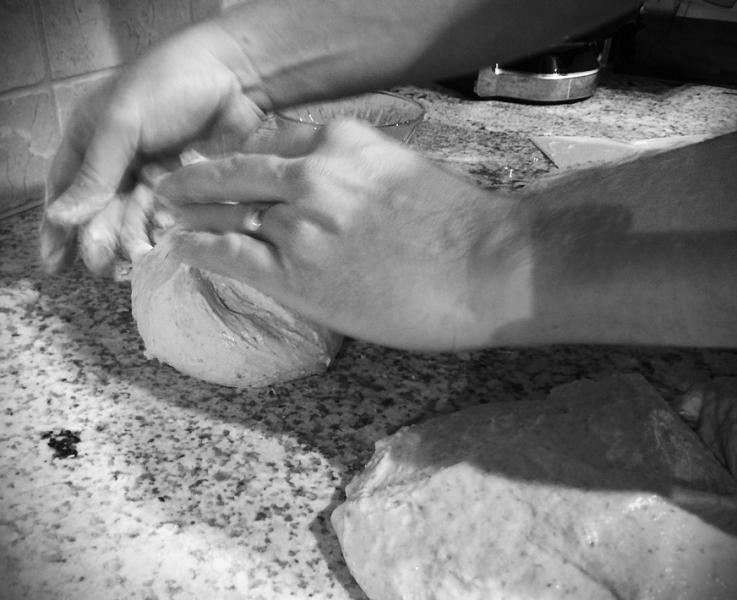 Boules were difficult to bake on this constricted working area. My question for you is how do you place the dough on a rack without the dough oozing through the rack? I like the idea of using a low rack in the roaster so you can pour the water under the elevated dough. My ultimate plan is to custom cut quarry tiles to the shape and size of my roaster, and find a low sitting (so I still have lots of head room to lid for the spring rise) rack. I would then place the rack in the roaster, place the tiles on top of the rack, then pour boiling water (like you do) so it evaporates under the rack. This way I won't have to worry about the water touching the tiles. Further to PM. I've been using a roasting tin for about four years. Like yours mine has those ridges in the bottom. Usually I add some water to the outer circle, essentially no contact with dough and spray the sides and inside of lid with water too. I do not preheat it, but place it on a kiln shelf which has been preheated in oven. I remove lid after 18 min or so, and then after another 10 min or so I remove the bread from the roasting tin and place it directly on the kiln shelf for the rest of the bake. Pretty similar to what you are now doing. Last year I stayed at a friend's place for several weeks, her roasting tin was wonderful. Much better quality though smaller than mine. It had a rack with long handles for lowering/removing from tin. The metal was thick. I preheated it. 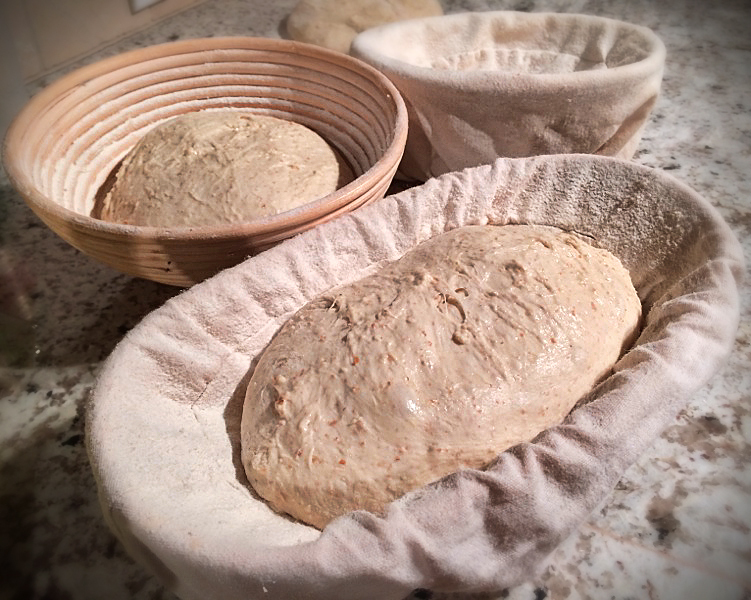 I put the proofed loaf onto the rack, with a piece of parchment doubled over. I also added water to the bottom of the roasting tin. I had no stone, and the bottom did not fire well while in the tin, so when I took it out, I turned the loaf upside down on oven shelf, that worked. Edit: PS TextEdit to the rescue! Just lost my comment too! Geeze..is Floyd aware of this issue? Perhaps nothing can be done about it other than copying and saving before posting...I hear dabrownman complain about it quite a bit so hopefully there's a fix. 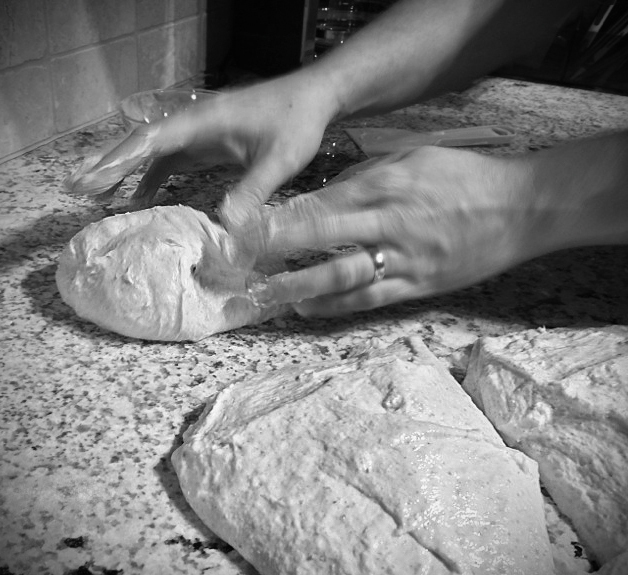 Anyway, so THAT is how you get around the dough not oozing through the rack...doubled up parchment paper. Perfect. I use parchment on the bottom of all my bakes so I will try this out when I get a rack that fits inside my roaster.